With the real-time search of schedules and routes, users can choose the best time to go to the point waiting for the arrival of their bus, besides being able to opt for alternative routes and other itineraries with the aid of the map, routes and schedules. 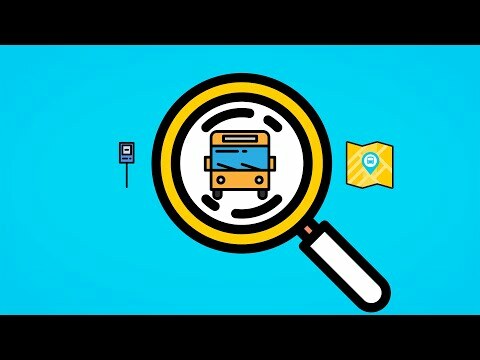 O Gynbus é o maior aplicativo para acompanhar o transporte público da Grande Goiânia e Região Metropolitana, ficamos felizes com seu download por isso estão sempre lançando atualizações para tornar o aplicativo melhor e mais confiável. Nessa atualização fizemos a atualização dos pontos de ônibus, e corrigimos o erro chato que estava acontecendo quando você tentava atualizar os pontos. Gynbus is the largest application to accompany the public transport of Greater Goiânia and Metropolitan Region, we are happy with your download so they are always launching updates to make the application better and more reliable. In this update we have updated the bus stops, and many other minor corrections. Gynbus is the largest application to accompany the public transport of Greater Goiânia and Metropolitan Region, we are happy with your download so they are always launching updates to make the application better and more reliable. In this update we did update the bus stops, and many other minor corrections.